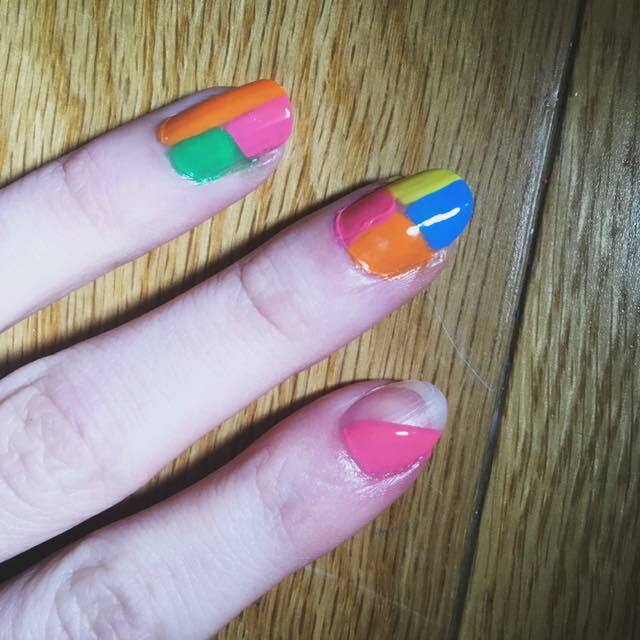 Colour-Blocking Nail Tutorial - Sleek For Yourself! 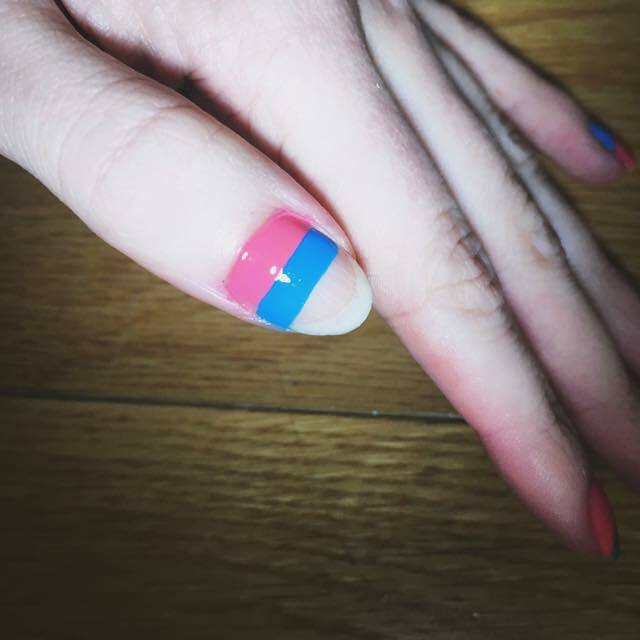 Colour-Blocking Nail Tutorial | Sleek For Yourself! 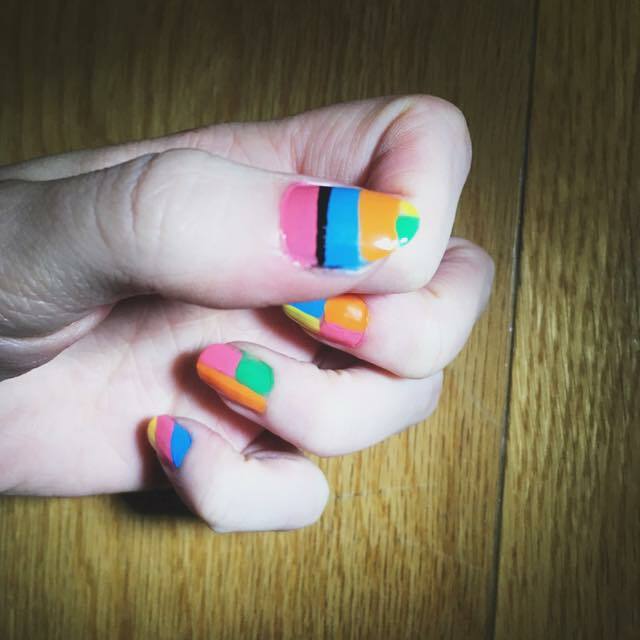 A couple of years ago I featured a Christmas Nail Tutorial on my blog which turned out to be one of my most popular posts to date. 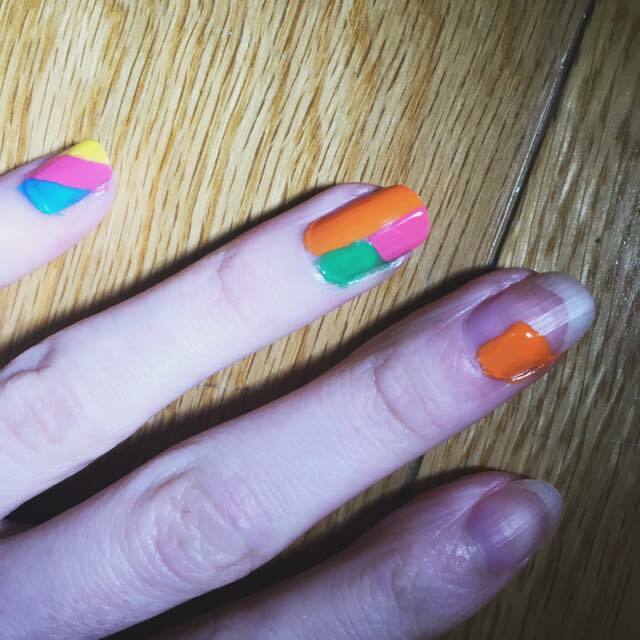 It seems a shame that I haven't done another one (especially considering I'm a qualified Nail Technician), and I want to do more beauty related posts throughout 2019 so I'm doing a super simple colour-blocking tutorial for you today. 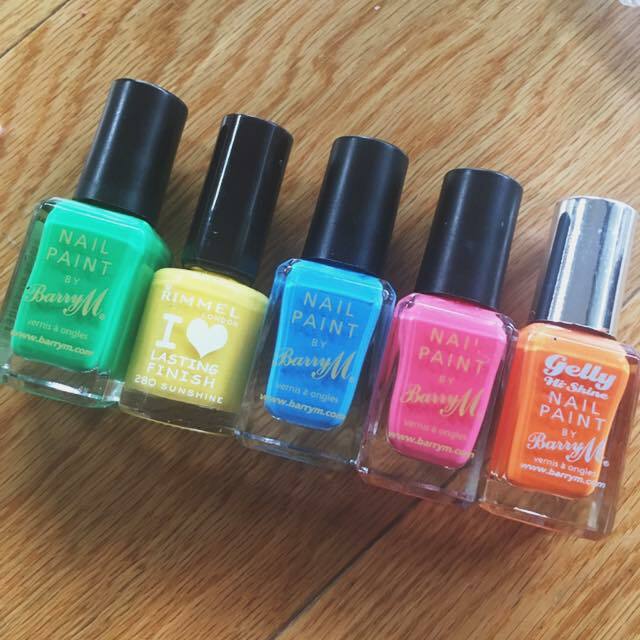 5 colours of your choice (I recommend pink, yellow, green, blue, and orange) Make sure they compliment one another. 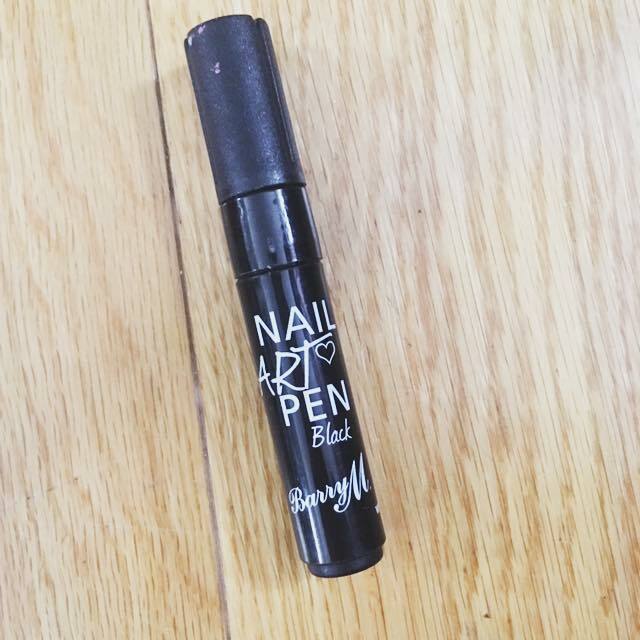 A black nail art pen (available from Barry M stands in the UK). Nail varnish remover and cotton buds / pads. 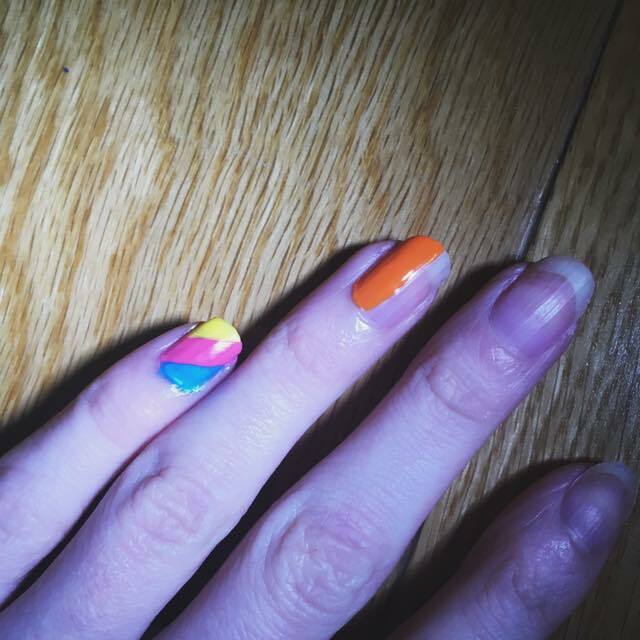 Base coat / top coat. First of all, you want to wash your hands and nails, remove any existing nail varnish, file them if they need it, and then apply your base coat. We are using quite bright colours so I would recommend a base coat to prevent any staining. But I'm lazy, so excuse the fact that I'm not using one. 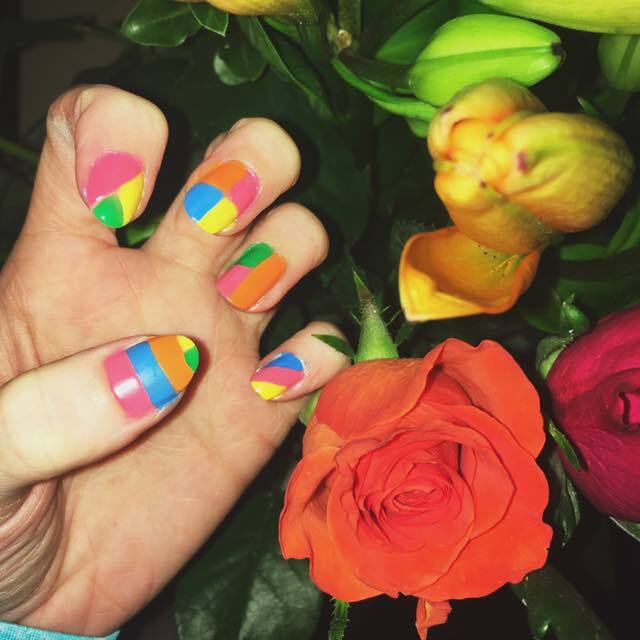 Once your nails are prepped it's time to get started. The first step depends on how steady-handed you are. Luckily for me, my hands are steady as a rock. 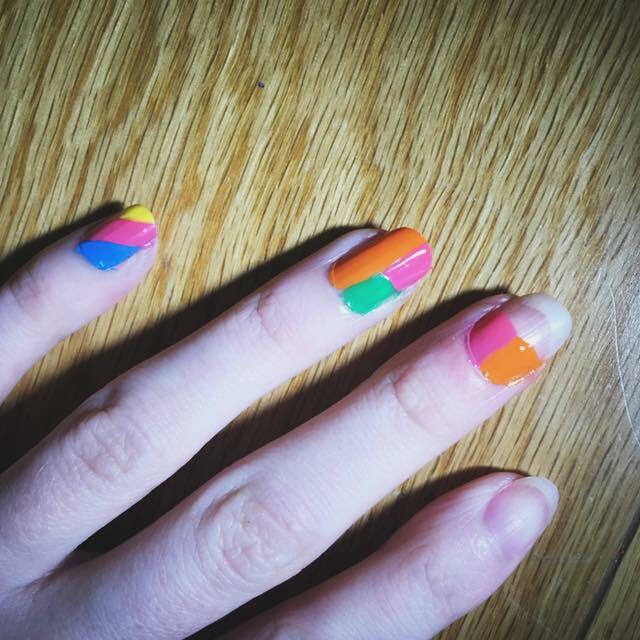 However, if you aren't the best at straight lines then grab something that you can stick across your nail (sellotape). 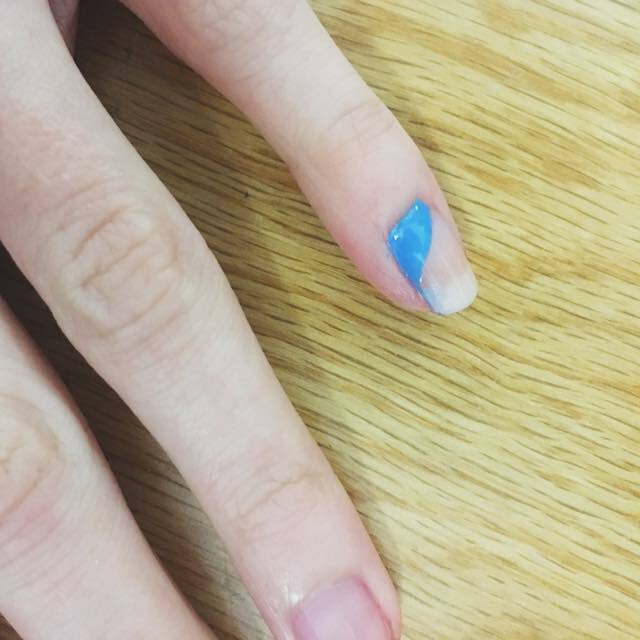 If you have a steady hand, simply drag across the blue nail varnish in a somewhat diagonal direction starting from the bottom left corner. 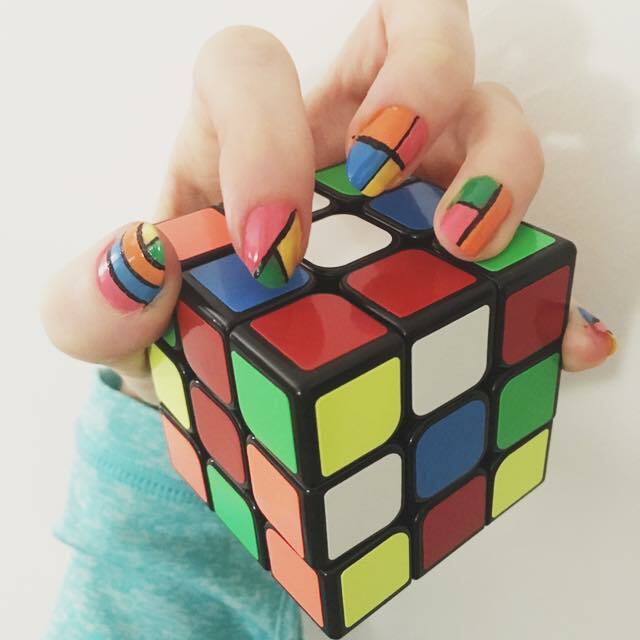 I decided to start with my pinkie finger. You can of course choose different colours by the way, pastel colours would be awesome! If you're using sellotape or something similar, I would suggest doing a very light layer of the varnish. If it's too thick it won't dry and when it comes to peeling it off you'll have a ridge. If you do a thin layer it will dry better and make the peeling off process much easier. This tutorial will definitely take patience. There is a lot of waiting around for varnish to dry. Next step is to repeat with your next colour. 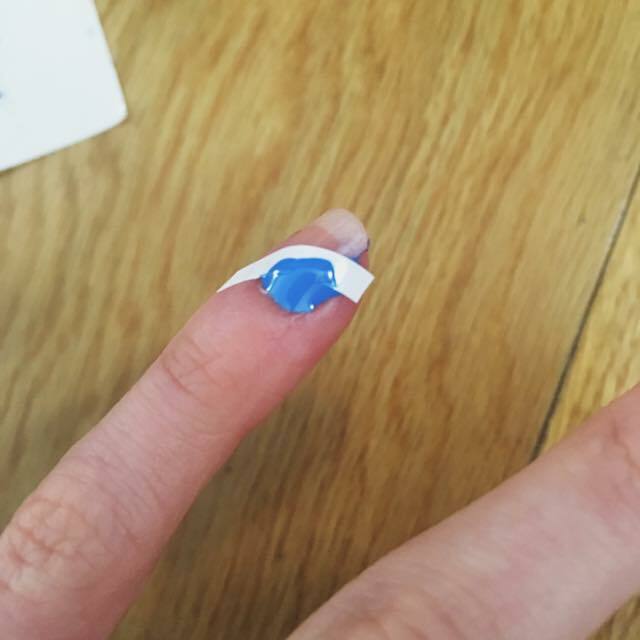 Swipe the varnish in the same direction and try and aim for the same width. 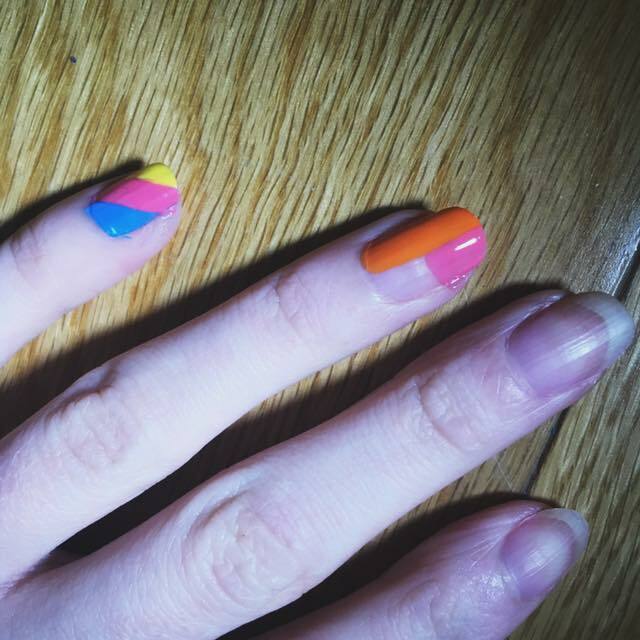 Then fill the last bit of your blank nail with the last colour. 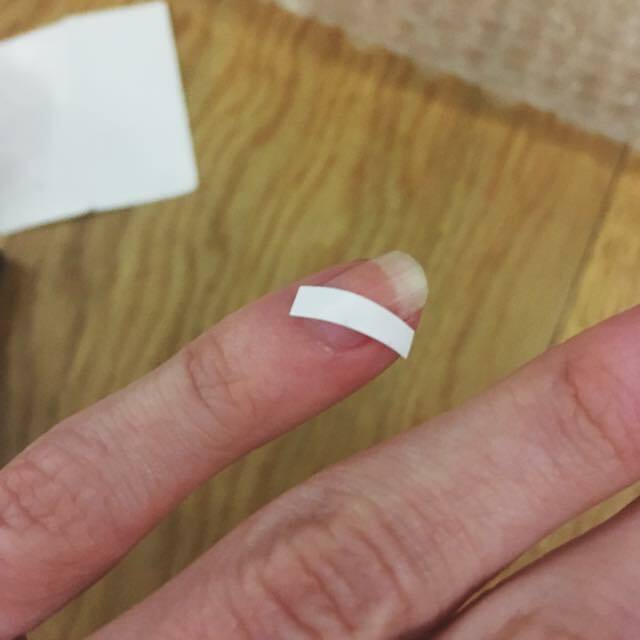 That is your first nail done! If you find it isn't very neat, don't worry, we fix that later! 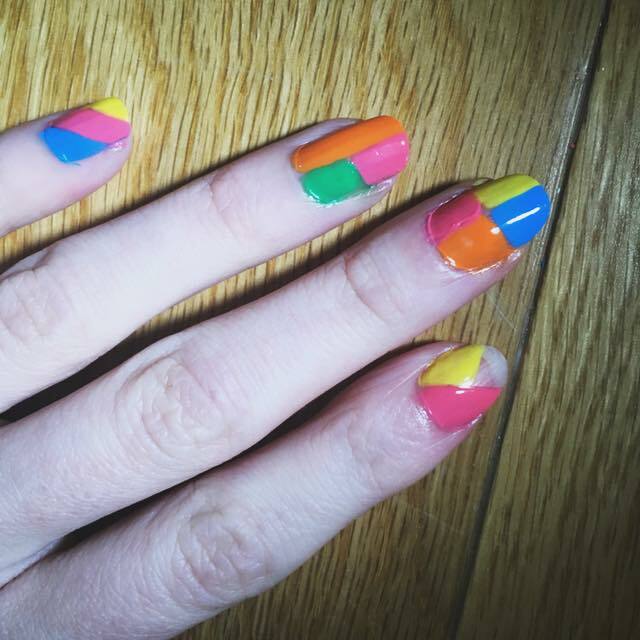 Luckily with bold colours, you can get away with doing just one coat but if you're using something a little lighter, top it up with another coat. 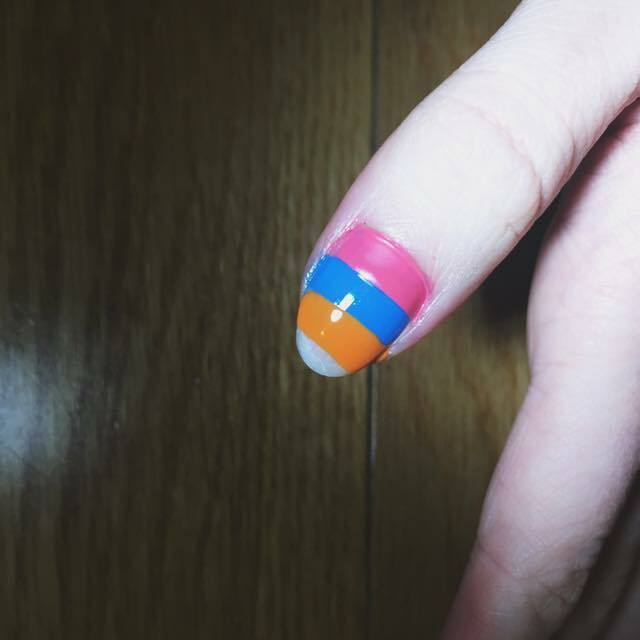 For the next nail, take the orange and place a stripe across the left half of the nail. Next, place a pink stripe on the other side, but only halfway down. You might find this easier to do if you brush towards the right? 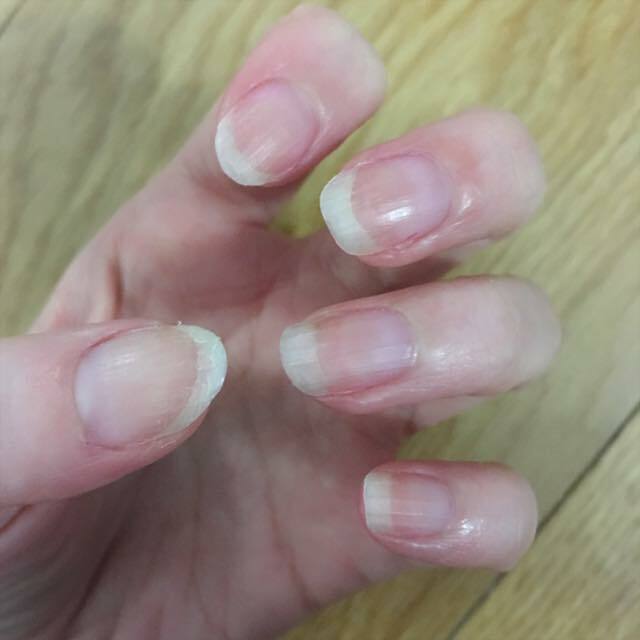 Don't worry about any excess nail varnish on your skin because you can go back and sort that with some nail varnish remover on a cotton bud later. 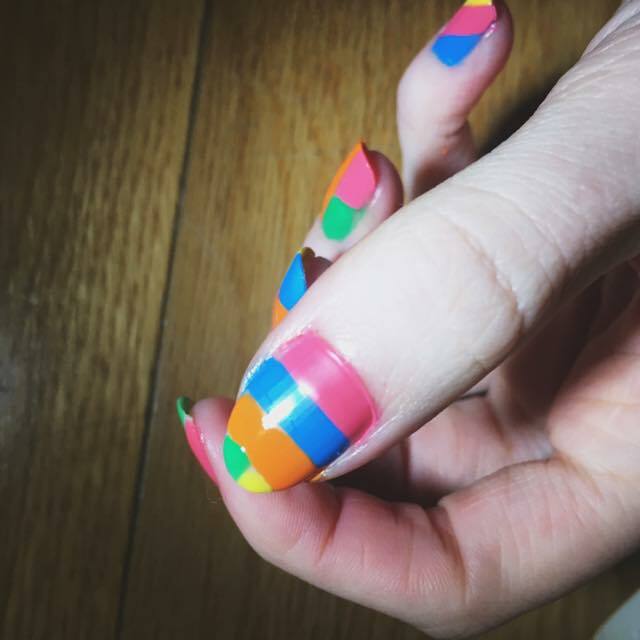 Complete the second nail by filling in the remaining blank with green. 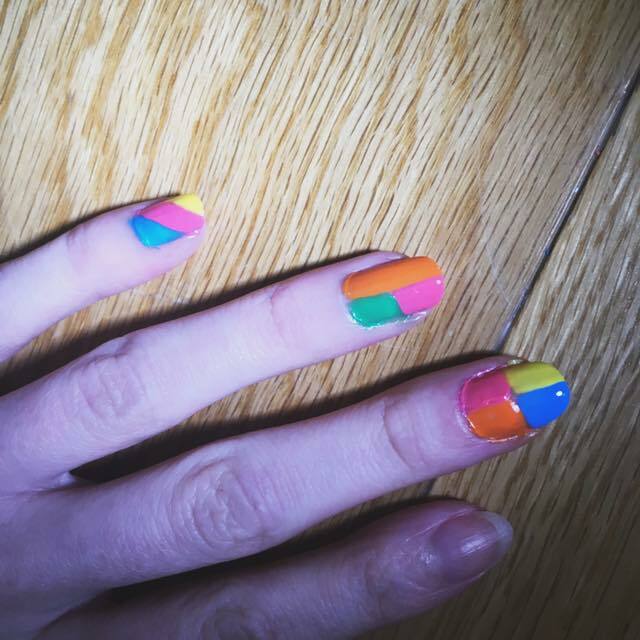 For the third nail it's almost the same pattern but on the left side only go halfway with the colour. This should form 4 squares. This is a super easy one. 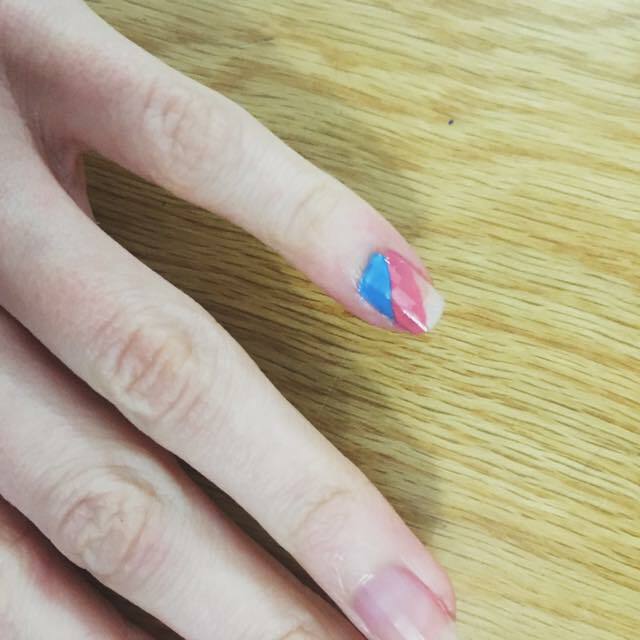 For the fourth nail, swipe the pink diagonally across the nail towards the right. Once it has dried, take the yellow and brush diagonally towards the left. 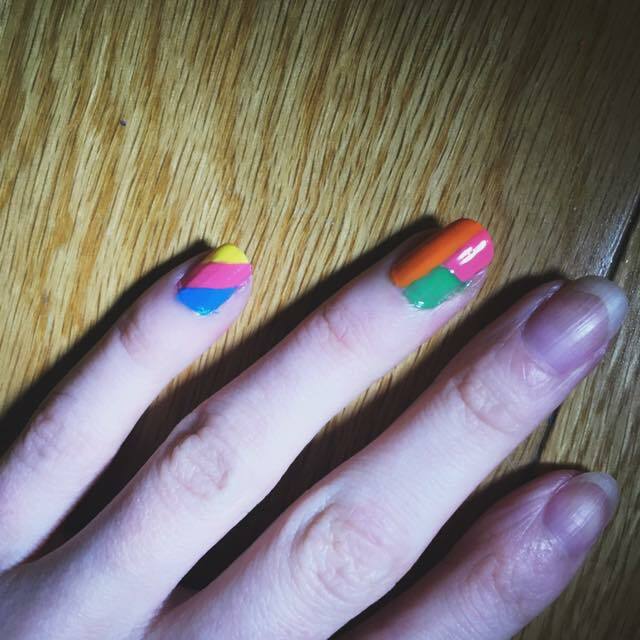 You should be left with a small triangular shape at the top which I filled in green. 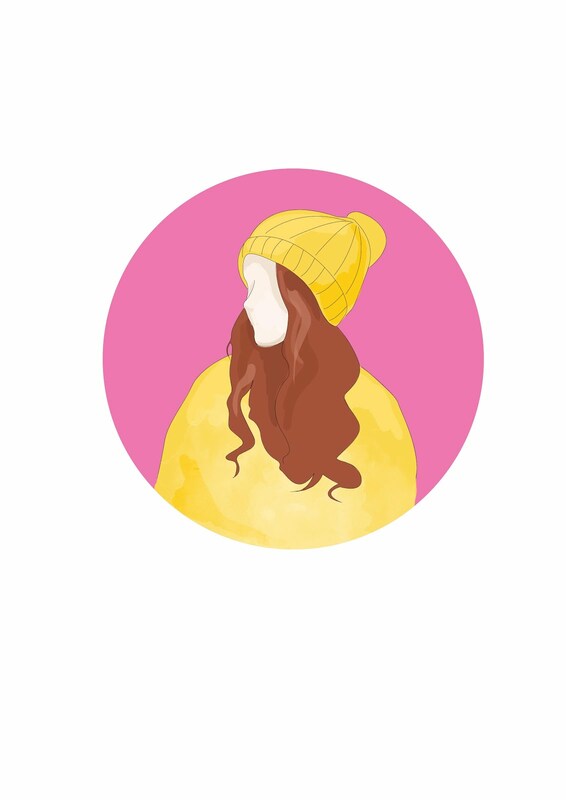 And finally for the thumbnail something super simple. 3 stripes across in colours of your choice. 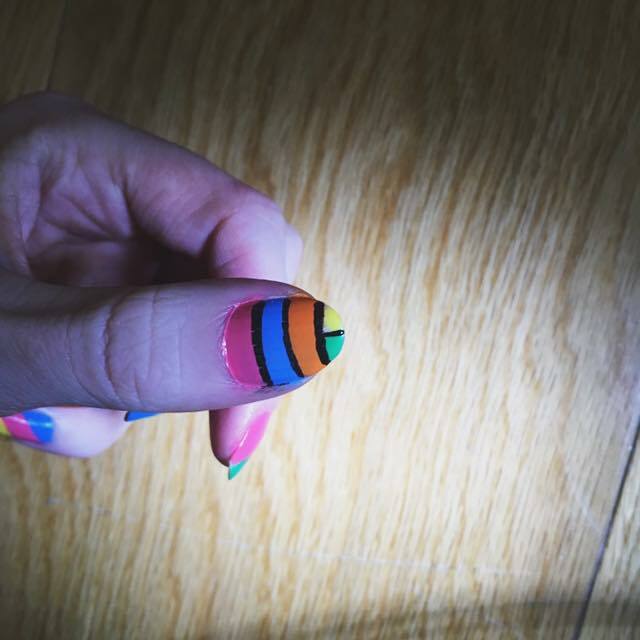 And then two vertical stripes upwards for the tip of the nail. You can choose to end this tutorial here as I love the look as it is. However, as I mentioned earlier, things might need neatening up a bit so I have an easy hack that's going to create a whole new look. 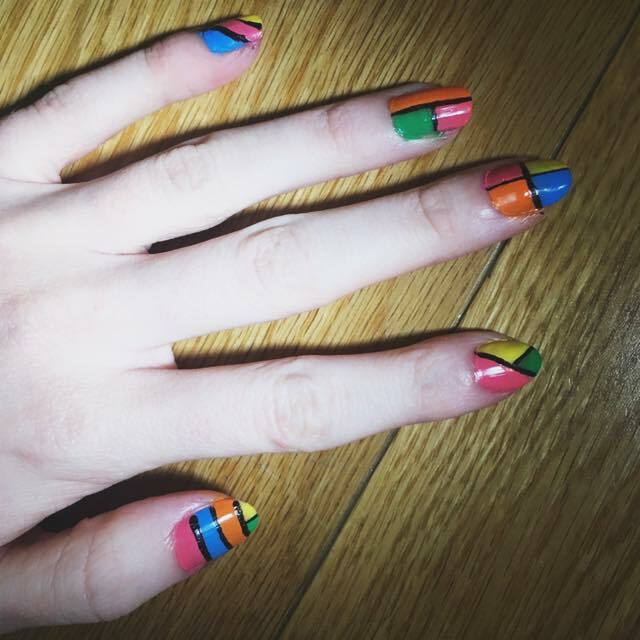 Take the black nail art pen and basically follow all the lines between the colours. Definitely wait for all the varnish to dry first or you will drag it into the other colours. If it's dry it's much easier to trace the lines. 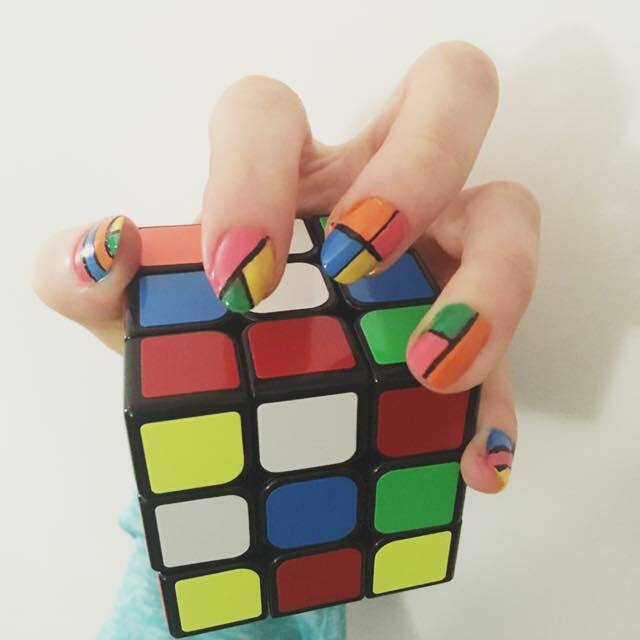 This will give it more of a Picasso / Retro / Rubik's Cube vibe. Plus it covers any messy bits! Once complete add a topcoat to seal in the pattern!! Then simply repeat on the other hand symmetrically so it's almost like a reflection. So start with copying the thumb. 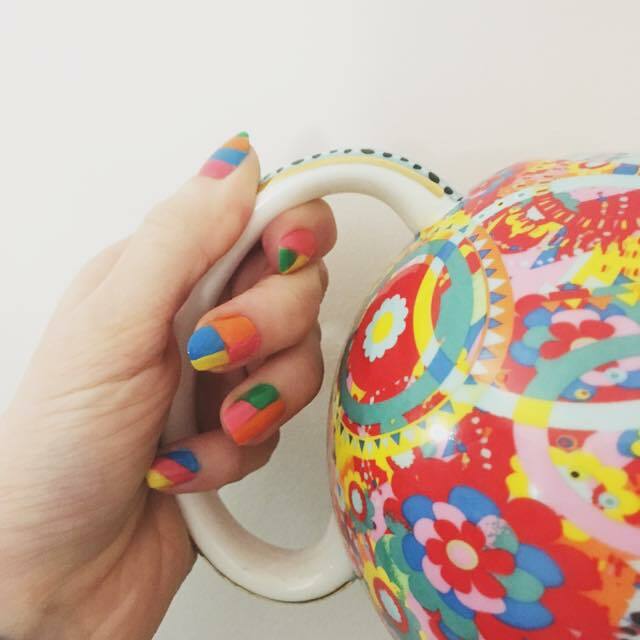 Or you could even choose different colours or patterns for something even more fun! I hope this tutorial was easy and straightforward. I would love to know if any of you recreate this look. 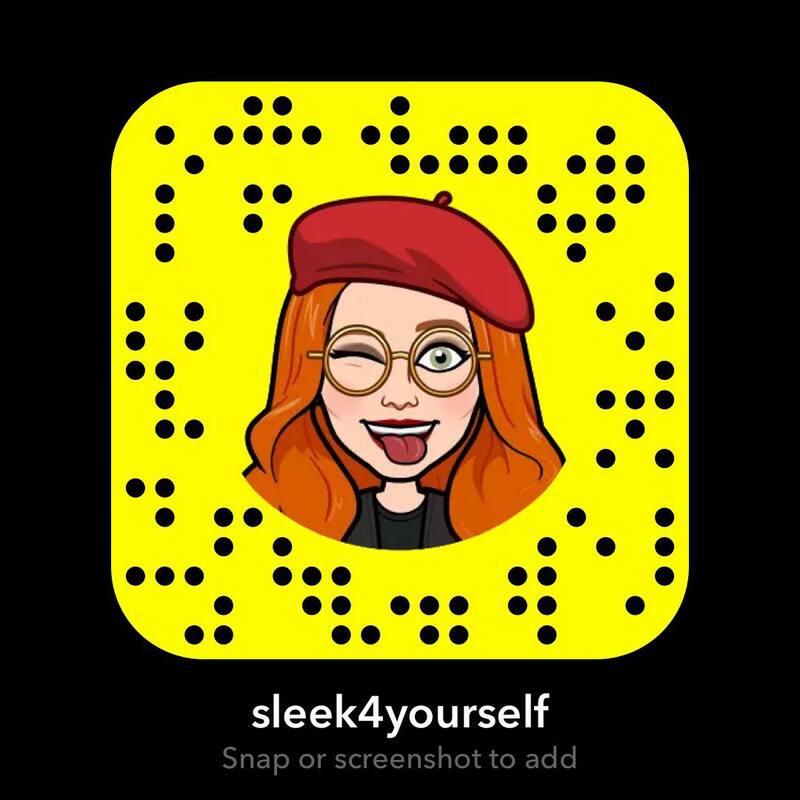 Tag me in your photos! All it takes is practice and a little patience. 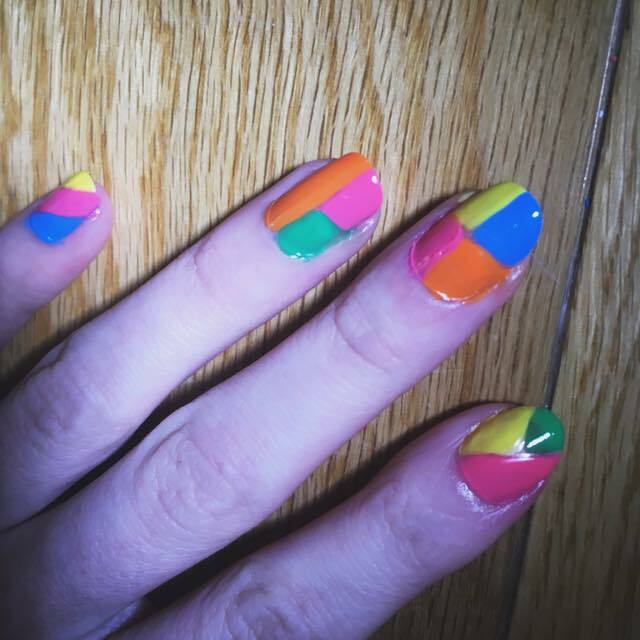 Before I became good at nails I was hopeless at straight lines but just practice, practice, practice.